We're starting a new series of posts here on the Aussie Scrap Source blog. 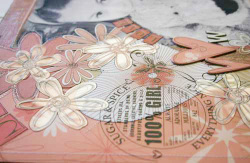 Each month we sponsor a special feature in each of the three Australian scrapbooking magazines, where we commission talented artists to use our products in creative and exciting ways. 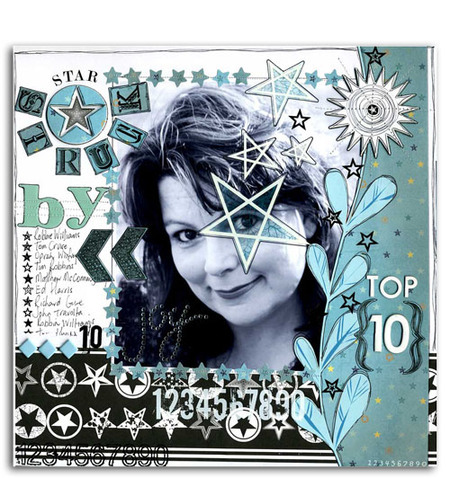 We're proud to kick off the series with the stunningly talented Maxine Hazebroek and her article which recently appeared in Scrapbook Creations. Here she takes a load of Aussie Scrap Source products and gives them a 'cracked up' look! In this layout Maxine covered a Pressed Petals monogram with BasicGrey Blush patterned papers and finished it with a stunning crackle effect. The monogram is then inked and adhered to her page. Although this page appears neither cluttered nor crowded, there's a heap of detail in here, and Maxine makes use of Heidi Swapp French Quarter Rubons, chipboard hearts, cherryArte chipboard alphas, Lil Davis chipboard embellishments, BasicGrey ribbon and more. Here Maxine applied crackle medium to Heidi Swapp Star Silhouettes, and once dry applied a layer of paint just to the cracks by wiping off most of the paint with a soft cloth. Again there is much detail here to savour, we love the monochromatic use of papers from different cherryArte ranges, chipboard alphas and numbers, BasicGrey mini mongrams, and Scenic Route Paper alpha rubons applied onto co-ordinating cardstock. 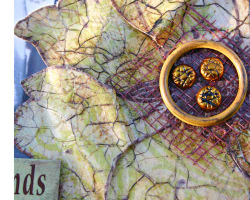 Look even closer and you'll find that the Heidi Swapp bling, Love You More brads, Sassafrass Lass bracket rubons all contribute to the wonderful whimsical feel of this layout. 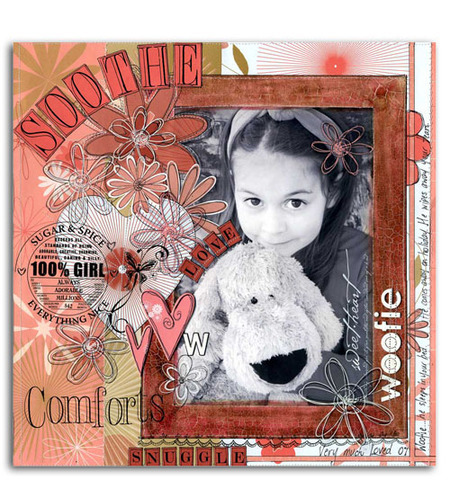 In 'Comforts' Maxine applied crackle medium directly to the uncropped paper she printed her photo on, and then applied a watery layer of paint around the photo, overlapping it in some areas over the top of the photo. 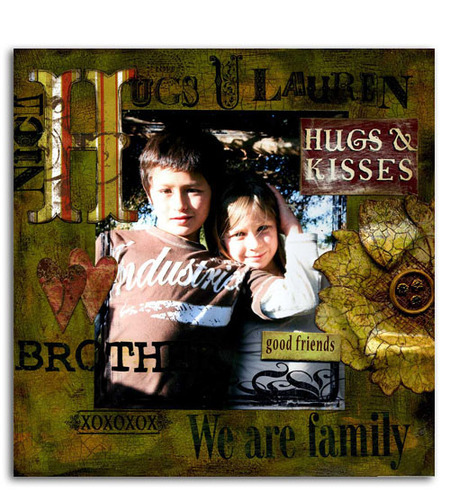 She then cut a border around the photo and applied stamp pad ink around the edges and into the cracks. 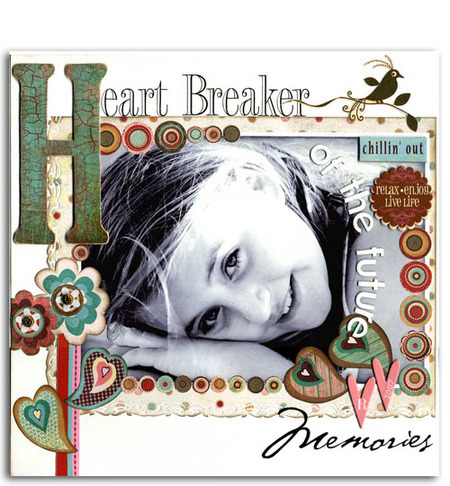 Maxine has used Carolee's Creations patterned papers, Heidi Swapp floral silhouettes and pink chipboard hearts. 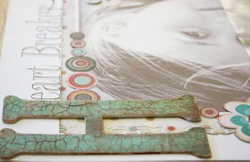 She has applied the gorgeous Heidi Swapp French Quarter rubons directly onto Heidi Swapp chipboard - they transfer onto this with wonderful ease - as well as BasicGrey rubons, cherryArte flower rubons and alpha chipboard. We're beginning to get the idea that Maxine likes rubons! And how wonderfully atmospheric is this final layout by Maxine. Here she created the painted/crackled BasicGrey background and flower and added dimension to the crackled flower by bending and scrunching the flower petals. Maxine has turned to the Scenic Route rubons on this page along with more fab Lil Davis chipboard words.